Designed for everyday use and intensive cleaning of buildings, machinery, vehicles and equipment. Ideal for cleaning encrusted dirt, concrete etc with high pressure and flow rate, Mazzoni allow the cleaning of large areas with a low power consumption. Recommended Use: Agriculture, food industry, metal industry, authorities municipalized, transport, markets, shipbuilding etc. 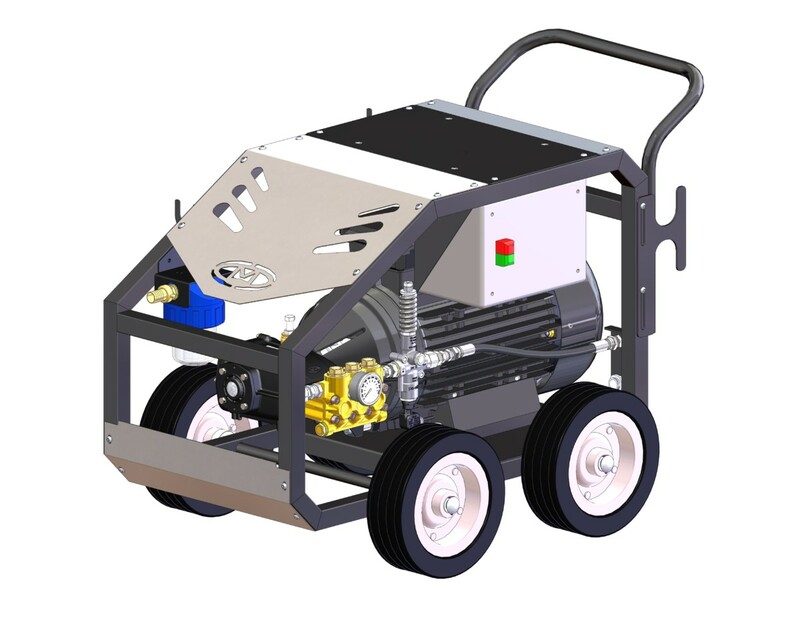 Professional cold water high pressure washer with electric 3 phase 21 ltrs p/min 500 bar pressure.